STILLWATER–Testosterone poisoning. That is a simple way to explain the rut of white-tailed deer. A big change is happening across Oklahoma. Female white-tailed deer (does) are coming into estrous for the first time of the season and males (bucks) are in overdrive trying to locate and breed with as many of the does as possible. If you know what to look for, the signs of this event are everywhere and include scrapes, increased sightings of deer and dead deer along highways. During the breeding season, or rut, bucks will leave scent deposits on the ground or on overhanging braches above scrapes. 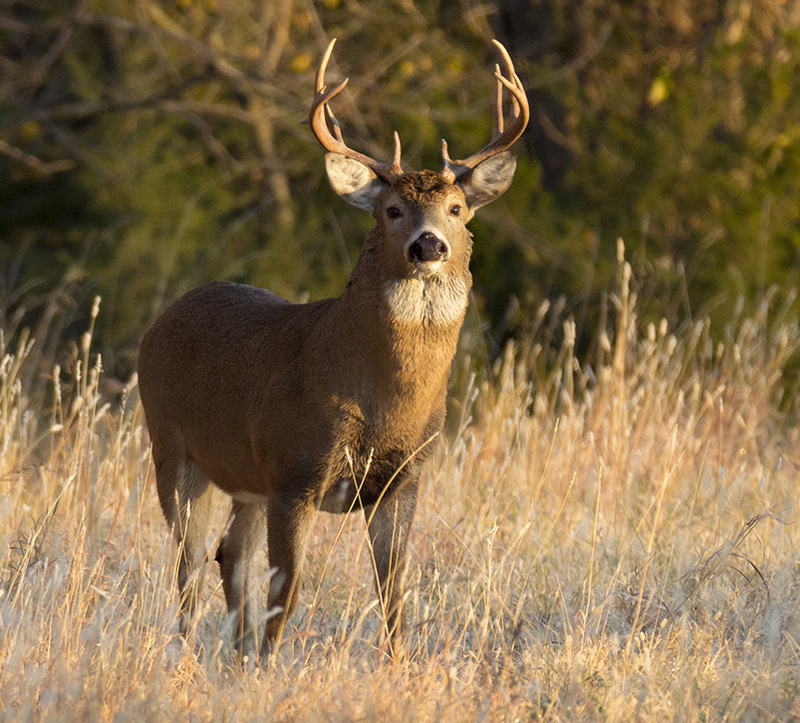 The deposits serve as a form of communication between bucks and does to assist with breeding, said Dwayne Elmore, Oklahoma State University Cooperative Extension wildlife specialist. “You might notice scrapes as freshly disturbed soil under overhanging branches, which are often chewed and broken, along forest edges,” he said. Deer are seasonal breeders. While some hunters have success or failure stories related to hunting with a full moon or half moon, science cannot back up those claims. Hormones triggered primarily by the rapidly shortening days of autumn regulate the seasonality of breeding. The high level of deer activity during the rut has some negative implications to people as well. Vehicle collisions with deer typically spike during November, as deer move widely across the landscape, sometimes with reckless abandon. “Drivers should exercise extra caution for the next few weeks, particularly at night,” Elmore said. Despite the somewhat synchronous estrous of does, not all does will breed during their initial estrous. 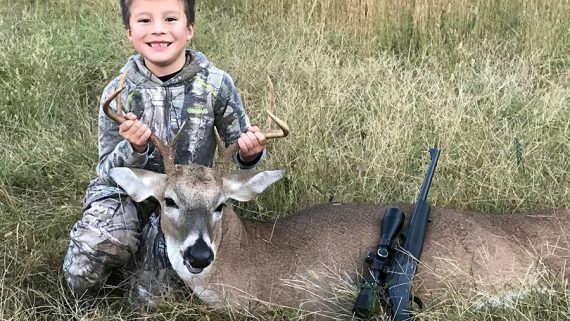 With rifle season beginning, Oklahoma hunters will be heading to the woods this weekend, looking for big bucks just as hard as the bucks are looking for does. Gun season runs from Saturday through Dec. 3. Spread the word about your business or service by sponsoring OUTDOORS or another section of heavenerledger.com Call (918) 649-4712 for more information.